Because attending school is still a new experience for them, some elementary school children have a difficult time sitting and concentrating for a long period of time. Other students may struggle because they feel intimidated by tests or don't know the material well enough. Review the following suggestions to find one that will help your child improve his or her grades in elementary school. The concepts covered in elementary school will serve as the foundation for the rest of your child's life. As a result, it's crucial to review these concepts at home frequently and consistently. Begin by asking your child what he learned in school that day. Having him explain a topic aloud is a review in itself because your child has to rehash everything that was covered in class. Listen for any gaps or mistakes in your child's explanation and clarify as necessary. 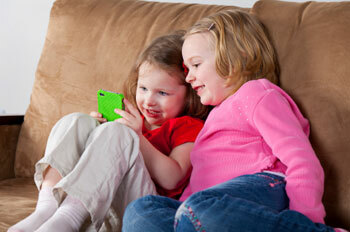 You can also reinforce your child's understanding by playing games. Many websites feature online educational games that integrate learning into a fun experience. Alternatively, play games like Hangman to review spelling words and Monopoly to practice counting money. In addition to focusing for an extended period of time, elementary school kids may not be used to completing homework assignments. If your child skips questions or stops halfway through an assignment, then you may need to work on her ability to focus. Sit with your child while she's doing homework. Model the desired behavior by reading a book or completing your own work. Afterward, check over her homework to make sure it's correct and completed. Look for any signs of misunderstanding and review what went wrong. Keep in mind that learning is a process, which means your child will make mistakes and learn from them. The key to successful learning is remaining upbeat and calm. If your child does poorly on tests despite understanding the concepts at home, he may suffer from test-taking anxiety. Before a test, study the material with your child in fun ways. If your child is preparing for a multiplication test, use flashcards. For each right answer, your child earns a point. Then, simulate the test-taking environment at home. Find a clean and quiet area in your house. Give your child a sample test and set the timer. Remind him to stay calm and concentrate on one question at a time. Ideally, if your child becomes familiar with taking tests at home, he'll be less intimidated by tests in school.